About Us | Home Care in New Jersey | Betty Nursing Services, Inc.
Caring for a family member can be overwhelming. At Betty Nursing Services, Inc., we endeavor to deliver the most suitable services for you and your loved ones. We want you to be safe, comfortable, and healthy. We are aiming to be your most trusted partner who you can turn to for unparalleled support. 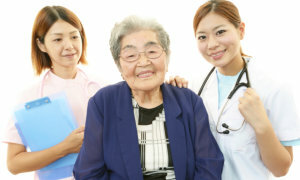 Betty Nursing Services, Inc. is a premier home care agency that serves clients between the ages of 15 to 85 years old. We are an innovative, client-focused agency that makes every effort to meet the growing demands of our community. Headquartered in 1219 Liberty Avenue Hillside, New Jersey, we proudly serve the local community and the surrounding areas. We are composed of a multidisciplinary team of home care professionals and paraprofessionals. We are staffed with Registered Nurses, Personal Care Assistants, Home Health Aides, Companions, Sitters, Licensed Practical Nurses, and Certified Nursing Assistants. They are all experts at what they do and they all share a common goal: To deliver the highest quality of services for you and your family. Mission. Our mission is to provide person-centered, quality home care services that can keep families together. We want to help our clients live a comfortable, dignified, and healthier lifestyle by delivering services that not only caters to their physical needs, but their emotional and social needs as well. Vision. Our vision is to become New Jersey’s foremost expert when it comes to home care services. We are looking forward to serving you and your family. For more information, contact us at 908-248-8429 / 201-417-6328 / 973-687-8282.